Clairol is a personal-care-product division of Procter & Gamble begun in 1931 by Americans Lawrence and Joan Gelb after discovering hair-colouring preparations while travelling in France. The company was widely recognized in its home country, the United States, for its "Miss Clairol" home hair-colouring kit introduced in 1956. By 1959, Clairol was considered the leading company in the U.S. hair-colouring industry. In 2004, Clairol registered annual sales worth approximately US$1.6 billion from the sale of its hair products. 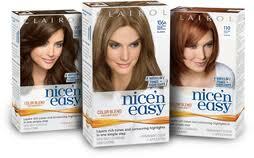 As of 2012, Clairol manufactures hair-colouring products sold under the brand names "Natural Instincts", "Nice ’n Easy" and "Perfect Lights".